Samsung’s Galaxy S9 and S9+ are excellent devices, but some users are experiencing touch sensitivity issues with their unit. Samsung’s official community forum and Reddit are flooded with reports of disgruntled Galaxy S9 and S9+ users claiming that their device has a nasty touchscreen issue which fails to register touch inputs on different regions of the display. Samsung has finally paid heed to users’ complaints and has announced that the company is looking into the issue. “At Samsung, customer satisfaction is core to our business and we aim to deliver the best possible experience. We are looking into a limited number of reports of Galaxy S9/S9+ touchscreen responsiveness issues. We are working with affected customers and investigating”, read the company’s response on the official Samsung community page. Samsung has earlier asked one user to exchange his Galaxy S9+ exhibiting the touchscreen dead-spot issue for a new unit. 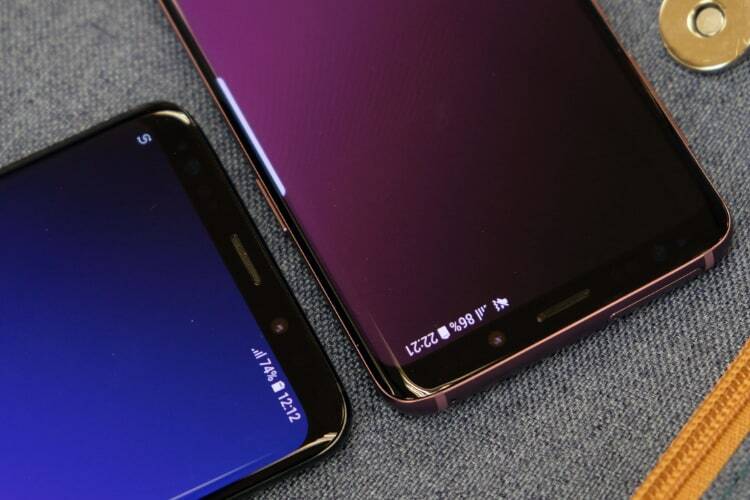 The issue is more common on the Galaxy S9+ compared to its smaller sibling, however, only a small number of devices are plagued by the issue. For some users, the unresponsive region covers the ‘E’, ‘R’ and ‘T’ buttons on the keyboard, while other users have reported that the top region of the screen has dead-zones, which prevents them from pulling down the notification bar. Another user has claimed that his S9 has a dead strip that runs horizontally next to the bottom volume button. After going through the complains of different users, it seems that the position of the non-responsive zone on the S9’s display is variable. Some users have reported that increasing the screen’s sensitivity can solve the problem to an extent, while others say that factory resetting the smartphone solves the touch responsiveness flaw. It is not clear whether the issue is due to a hardware defect or just a software glitch, and we’ll have to wait until Samsung officially concludes its investigation into the issue.